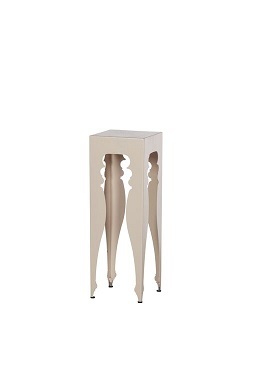 A beautiful and striking design, this nest of tables can be made in any colour, you can also add a third table if you wish, drop us an email at hi@amelie-design.co.uk and we would be delighted to design the perfect table for you. Beautiful, striking design, the Three-tiered planter is an ideal choice for gardens, patios and balconies. Dimensions - 520mm (w) x 520mm (l) x 1470mm (h) Made from galvanised, powder coated steel and aluminium that's resistant to water and sun damage. Optional Extras. 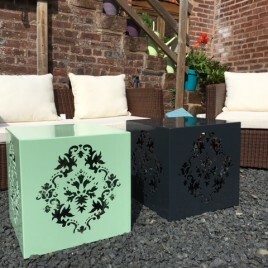 Beautiful, striking design, the two-tiered planter is an ideal choice for gardens, patios and balconies. Dimensions - 520mm (w) x 520mm (l) x 920mm (h) Made from galvanised, powder coated steel and aluminium that's resistant to water and sun damage. Optional Extras. 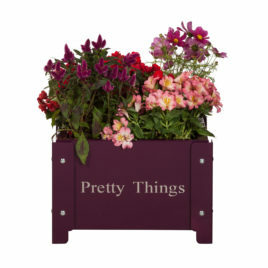 Beautiful, striking design, large single planter is an ideal choice for gardens, patios and balconies. We can make in any colour just drop us an email hi@amelie-design.co.uk to specify which colour you'd prefer. Dimensions - 520mm (w) x 520mm (l) x 280mm (h) Made from galvanised, powder coated steel and aluminium that's resistant to water and sun damage. Optional Extras. 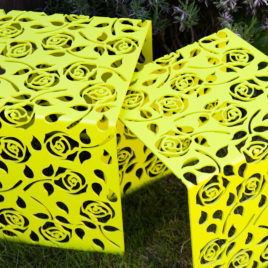 A beautiful and striking design, these cubes can be made in any colour and can be used as a table or seat. Optional Extras. A beautiful and striking design, this console table can be made in any size or colour, you could use it as a coffee table or dining table, drop us an email at hi@amelie-design.co.uk and we would be delighted to design the perfect table for you. Optional Extras. 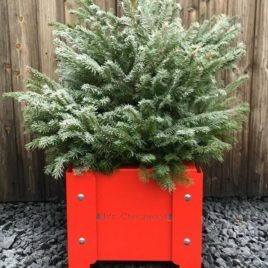 A beautiful, striking and modern design, the 'It's Christmas' planter adds festive sparkle to your garden or home. It looks fantastic outside, giving the front of your house a real Christmas feel or used indoors* gives your home the wow factor over the festive period. 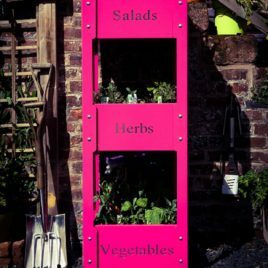 Dimensions - 320mm (w) x 320mm (l) x 280mm (h) Made from galvanised, powder coated steel and aluminium that's resistant to water and sun damage. 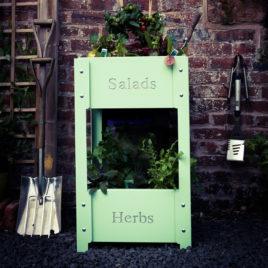 *Please note, planters aren't fully sealed therefore care is needed when watering indoors. Optional Extras. 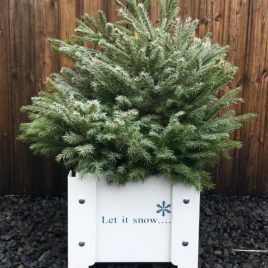 A beautiful, striking and modern design, the 'Let it snow' planter adds Christmas sparkle to your garden or home. It looks fantastic outside, giving the front of your house a real festive feel or used indoors gives your home the wow factor over the Christmas period. Dimensions - 320mm (w) x 320mm (l) x 280mm (h) Made from galvanised, powder coated steel and aluminium that's resistant to water and sun damage. Optional Extras.